If your kitchen has an outdated or worn-down look, it’s time to remedy the problem with kitchen remodeling. Perhaps the dilemma holding you back is an impending move. Here are five suggestions for kitchen upgrades that are more cost-effective than a full remodel. These tips are sure to help you see and appreciate your space in a new light and may just push a future potential buyer to make an offer. One of the least expensive options for quickly updating a room is replacing or adding new hardware to your cabinetry. Whether your current hardware is overly worn or just outdated, there is a plethora of options on the market at nearly any price range. The sky’s the limit when it comes to design possibilities for your kitchen walls. A kitchen remodeling professional can provide suggestions to result in a breathtaking, fresh look without investing in a complete room re-do. New kitchen cabinets can be incredibly expensive. If old cabinetry is keeping your kitchen from shining, there are more affordable options for making them look their best. Having cabinets refaced allows for a fresh look without incurring the cost of a full replacement. If you’re only making one upgrade to your kitchen, choosing to replace your countertops can have a big impact. With a wide range of materials and price ranges, there’s a lot of room for making your kitchen look unique. Choose higher-end stone such as marble or granite, or choose a very modern material, like butcher block. Having your contractor install new flooring in your kitchen is a great way to breathe new life into the space. Consider beautiful tile for an eye-catching look that will endure for years. There’s no reason why you should deny yourself a beautiful kitchen before you move. 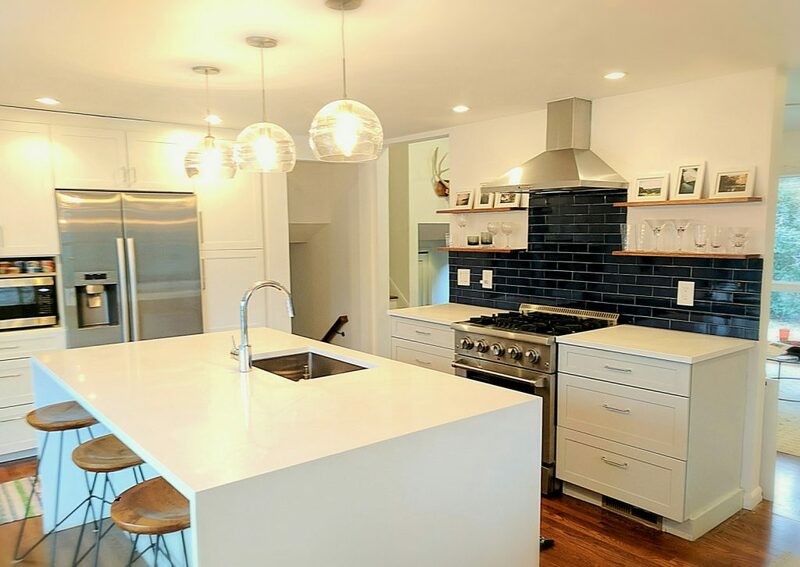 Especially when you keep in mind that even the simplest of kitchen remodeling projects could result in more interest and a quick sale after listing. Explore your options with a professional contractor for an inspired kitchen you can be proud of.